In 2015, Stephanie wrote an impassioned viral essay in Vox, which detailed her life as a domestic worker, a field largely dominated by women working as housecleaners, nannies, and in elder care, jobs that often deny basic labor rights like minimum wage, overtime, sick and vacation pay. Emotionally raw yet heartwarming, MAID gives voice to the working poor, and is fueled by Stephanie’s courage to expose the reality of pursuing the American dream from below the poverty line. 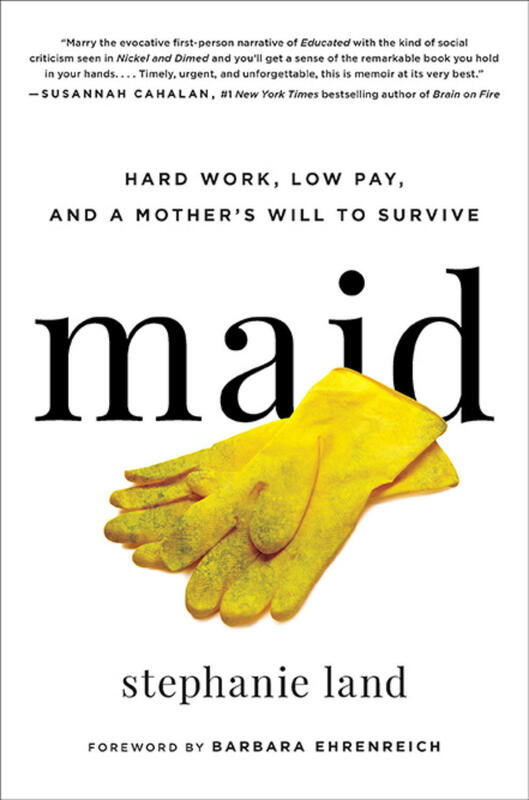 The following highlights are from a conversation with Stephanie Land about, "Maid: Hard Work, Low Pay, and a Mother's Will to Survive." To hear the full conversation click the link above or subscribe to our podcast. Sarah Aronson: This book begins in a homeless shelter. How has writing this book, in a sense, re-homed you? Stephanie Land: Boy, I think it centered me back into myself. It helped me have compassion for myself and that period of my life. In writing it, I saw just how difficult that circumstance was, and, at the time it was happening, I only felt like a failure. Now that I’ve been through the other side, or am in a more privileged position, I’m able to see just how difficult that was and see that I truly was surviving. How did you trust you had a story to tell? Being a writer, that is your purpose: to share your story with people. As writers, we share our stories so we don’t feel alone. I really didn’t think this part of my life was very interesting until the original article went viral and suddenly I saw people did want to hear about this. What is the unseen potential of people in poverty? Even on book tour people have asked me, “It just seems like people in poverty don’t even try, or they don’t know how to handle their finances, they don’t know how to save”. . . I’m struck by how common that misconception is. I was not encouraged to get an education. I lost benefits because I was in school full time and wasn’t able to work 20 hours per week and so was dropped from the food benefits program. Also, life was so bleak for so long I didn’t want to imagine 5 years from then because I didn’t want to imagine living the life that I was. So every single time I got an extra ten bucks I didn’t think: “Oh, I need to save this.” It was: I need to provide my daughter with a momentary joy, because I felt like I could rarely give that to her. Just even getting her a Happy Meal was a special treat. As a parent, you want to be able to give that to your kid. When I hear these things, “Well they don’t know how to save money.” It’s not that we don’t know how, it’s, "What are we saving for?" You always had a dream about writing. How did you keep that part of the dream alive? It was also a drive not only to do that for myself but to do that for my kid. I wanted her to know that whatever she wanted to be, she could, in no matter what situation. I wasn’t sure I’d be able to prove that to her, but I wanted to try as much as possible. As a single mother, Stephanie Land scrubbed the toilets of the wealthy and lived in a dank studio with her young daughter. Her journey is one of resilience and determination as she hops from home to home and survives on $9.00 an hour and public assistance. MAID is an illuminating dive into the secret underbelly of middle-class America, and what it’s really like to work in service jobs. With a tenacious grip on her dream to provide her daughter the very best life possible, Stephanie worked days and took classes online to earn a college degree, and began to write relentlessly. She wrote the true stories that weren’t being told. The stories of overworked and underpaid Americans. Of living on food stamps, and WIC (Women, Infants, and Children), coupons for staples like milk and cheese. Of the government programs that provided her housing but that doubled as a halfway house, the aloof government employees who called her lucky for receiving assistance while she didn’t feel lucky at all. She wrote to remember the fight, to eventually cut through the deep-rooted stigmas of the working poor. “I’d become a nameless ghost,” Stephanie writes about her relationship with her housekeeping clients. “My job was to wipe away dust, dirt, and make lines in carpets, to leave without a trace. I almost felt like I had the opportunity to get to know my clients better than any of their relatives. I’d learn what they ate for breakfast, what shows they watched, if they’d been sick, and for how long. I’d see them, even if they weren’t home, by the imprints left in their beds and tissues on the nightstand. I’d know them in a way few people did, or maybe ever would.” And, as she begins to learn more about her clients’ lives—their sadness and love, too—she begins to find hope in her own path. 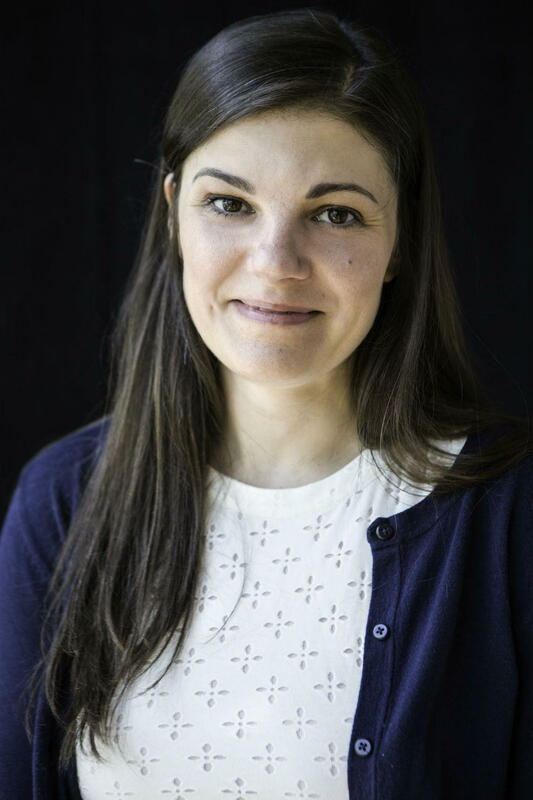 Her work gained footing in many national publications and she began to carve out a career for herself as a writer and fellow for the Economic Hardship Reporting Project and the Center for Community Change. MAID is Stephanie’s story, but it’s not hers alone. It is an inspiring testament to the strength, determination, and ultimate triumph of the human spirit. Stephanie is a bright, important new voice in nonfiction literature, illuminating underserved populations of domestic and service workers who fight daily to improve their own lives and the lives of their children. Stephanie Land's work has been featured in The New York Times, The New York Review of Books, The Washington Post, The Guardian, Vox, Salon, and many other outlets. She lives in Missoula, Montana. A Family History of Illness is a gritty historical memoir that examines the body's immune system and microbial composition as well as the biological and cultural origins of memory and history, offering a startling, fresh way to view the role of history in understanding our physical selves. In his own search, Walker soon realizes that this broader scope is more valuable than a strictly medical family history. He finds that family legacies shape us both physically and symbolically, forming the root of our identity and values, and he urges us to renew our interest in the past or risk misunderstanding ourselves and the world around us.